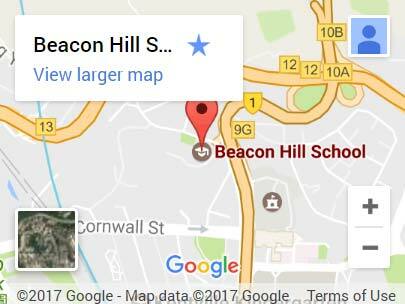 The primary objective of the Beacon Hill School PTA is to promote close co-operation and contact between parents and the school and to support the school for the general welfare of the students. The main task of the PTA is to raise funds that benefit all the children at our school. This is done via a variety of events including the popular annual International Food Fair and Christmas Carol Concert. Recent projects undertaken by the PTA have included the resurfacing of the school playground and in the past, the PTA has also been responsible for supplying reading books for our school library. Under the new ESF ordinance, it is now compulsory for all parents to join PTA. The school has offered to collect the money on behalf of the PTA. The fee for 2018/2019 is HK$450 per family. In line with the ESF guidelines for PTAs, there is no longer a life member option. Of course, families that previously have a life membership do not need to pay for current students or any future BHS students. All parents are encouraged to join in our activities as EVERY child benefits from PTA activities and thus far we have raised well over $700,000!!!!! The PTA also nominates two parent representatives to sit on the School Council, which is effectively the Governing Body of the Beacon Hill School. The School Council discusses all aspects of school policy and management and it is through its representatives on the School Council that PTA opinions relating to school affairs may be heard. These two parent representatives are also nominated to attend the twice yearly foundation meeting.